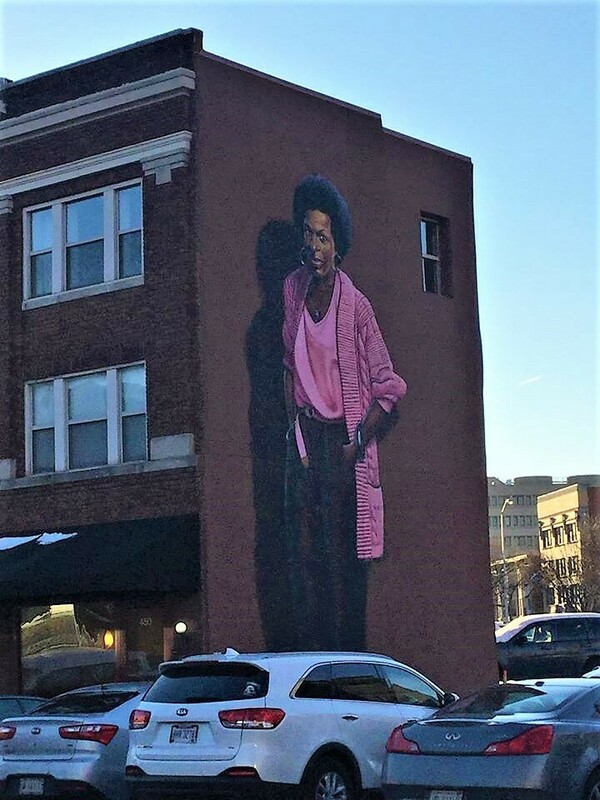 Mari Evans, a writer, poet, activist, and one of the founders of the Black Arts Movement, is a prominent historical figure in not only Indiana, but the entire nation. Evans was born in 1923 in Toledo, Ohio. Although her mother passed away when she was 10, her father encouraged Evans in her education and writing so that his child could have a bright future. After attending public schools in Toledo, Evans attended the University of Toledo to pursue a degree in fashion, although she left without a degree. She moved to Indianapolis in 1947 and pursued her passion for writing. By 1969, she was a published author and teaching a class on African American Literature at IUPUI. Her first published piece was, Where is All the Music? The following year, Evans published her most well-known work: I am a Black Woman. The poem defined who Evans was and the pride she displayed in being African American. Her writings shined a light on the African American experience, celebrated African heritage, and highlighted the struggles of the Civil Rights Movement. This excerpt from, I am a Black Woman, reveals her genuine pride when she writes, “I am a black woman. Tall as a cypress strong beyond all definition still defying place and time and circumstance assailed impervious indestructible. Look on me and be renewed.” Evans also promoted African American culture through writing, directing, and producing, “The Black Experience,” a history documentary that aired in Indianapolis from 1968-1973. Later in her life, Evans went on to teach at various education institutions, such as Cornell, State University of New York, and Spelman College. She also wrote children’s books, which educated youth on African American history. Evan’s work earned her many awards. In 1981, she received the National Endowment for the Arts Creative Writing Award for her children’s books. Also, in 1997, the Uganda government issued a commemorative postage stamp in her honor. Evans died on March 10, 2017 at the age of 93. 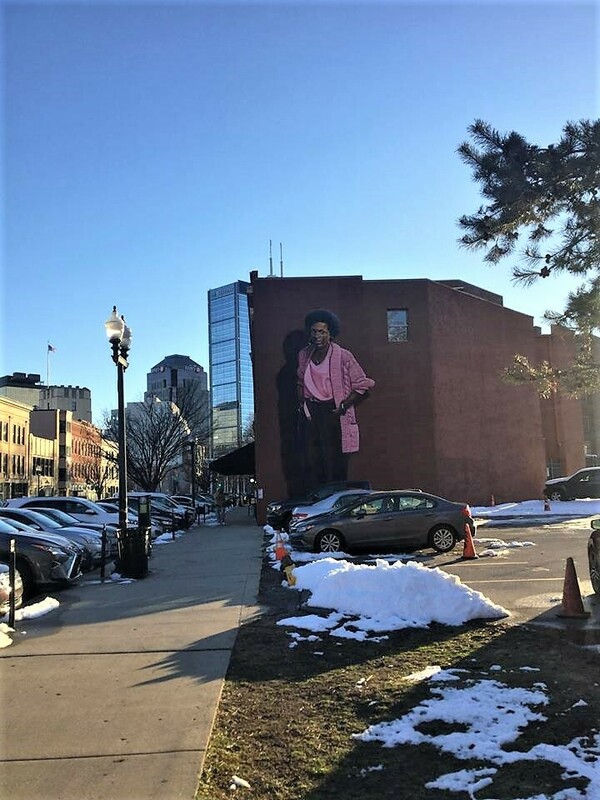 Her memory is honored in Indianapolis off Massachusetts Avenue where an art mural of Mari Evans was unveiled in August 2016. 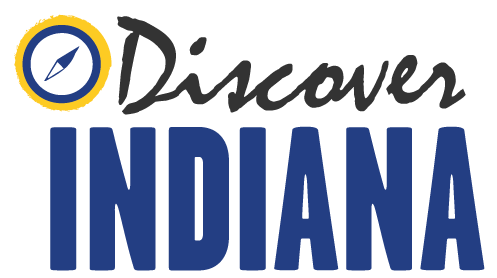 Abigail Bragg, “Mari Evans,” Discover Indiana, accessed April 25, 2019, https://publichistory.iupui.edu/items/show/375. Dwight Adams, "Late Indianapolis Poet Mari Evans Leaves Legacy of Social Justice." Indianapolis Star, 2017 Victoria T. Davis, "Poet, Activist Mari Evans Dies at Age 93," https://www.theindychannel.com/news/local-news/poet-activist-mari-evans-dies-at-age-93 Mari Evans, "I Am a Black Woman," 1970, available at https://blackthen.com/poem-black-woman-poet-writer-mari-evans/. Will Higgins, "Remembering Mari Evans’ Intense, Unblinking Life," Indianapolis Star, 2017. Erin Sullivan, "Evans, Mari E.," www.blackpast.org. "Mari Evans 1923-2017," https://www.poetryfoundation.org/poets/mari-evans. 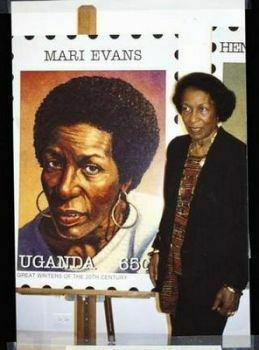 "Mari Evans," https://www.britannica.com/biography/Mari-Evans. Published on Mar 5, 2018. Last updated on Apr 2, 2019.